When booking with Large Cabin Rentals, your group receives a Freedom Fun Pass that includes free tickets and discounts to several major shows and attractions. These include such popular attractions as Ripley’s Aquarium of the Smokies, Comedy Barn Theater, Smoky Mountain Opry, and more! 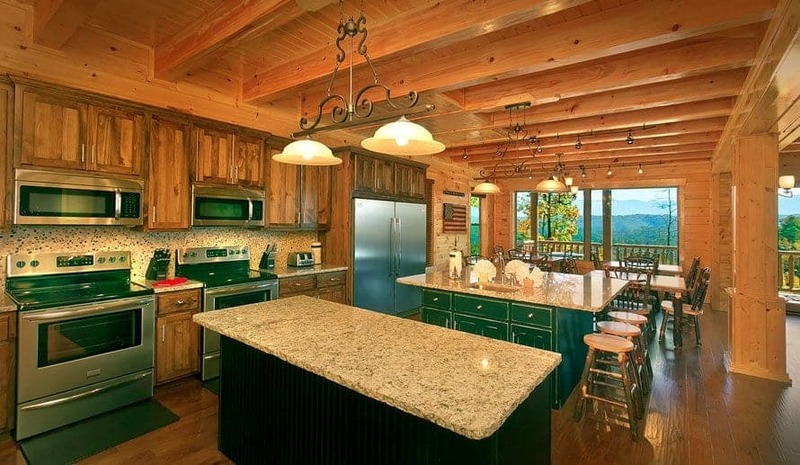 As a result, your trip to the Great Smoky Mountains becomes even more affordable, and you have more money to spend on other areas of your vacation such as dining out and travel expenses. Many folks think of a fitness center as an amenity found only in hotels, but Large Cabin Rentals is pleased to offer a complete exercise facility with free weights, treadmill and multiple weight machines. In addition, the facility includes a relaxing sauna and steam room to unwind after your workout! We have also included a flat screen television with cable to provide entertainment during your fitness routine. 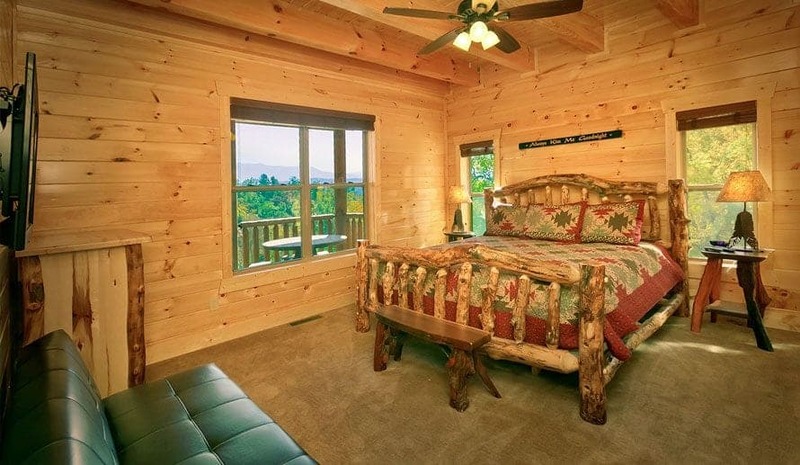 This is all included for free when booking one of our cabin rentals in Pigeon Forge TN! Everyone in your group will be happy to cool off in our outdoor swimming pools during the hot summer months! Both of our outdoor pools feature plenty of lounge chairs to relax around the pool while enjoying the gorgeous surroundings of the Great Smoky Mountains. There is no need to take the kids to a waterpark when you have our refreshing swimming pools at your disposal during your vacation at Large Cabin Rentals! Another unique aspect of booking one of large group cabins is the incredible mountain views that you can enjoy from your cabin’s private deck! 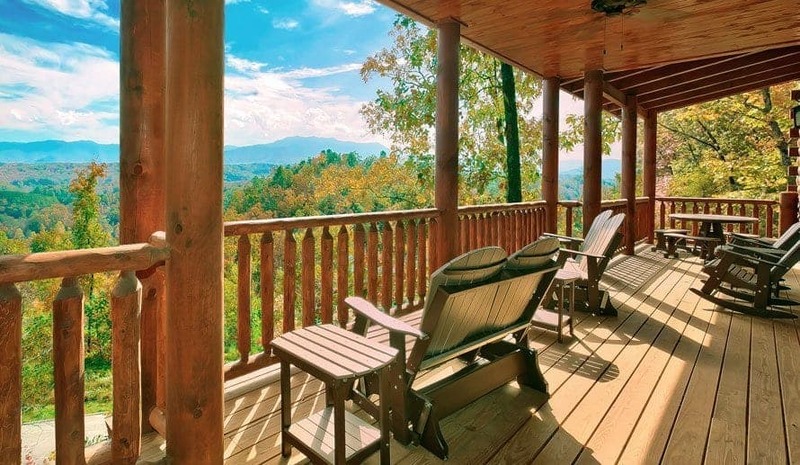 Relax in a rocking chair on your deck to enjoy a cool mountain breeze, or kick back in the hot tub as the sun sets over a mountain peak. Everyone in your group will be delighted that you booked your cabin with Large Cabin Rentals. You just can’t get this type of gorgeous scenery in a hotel room! 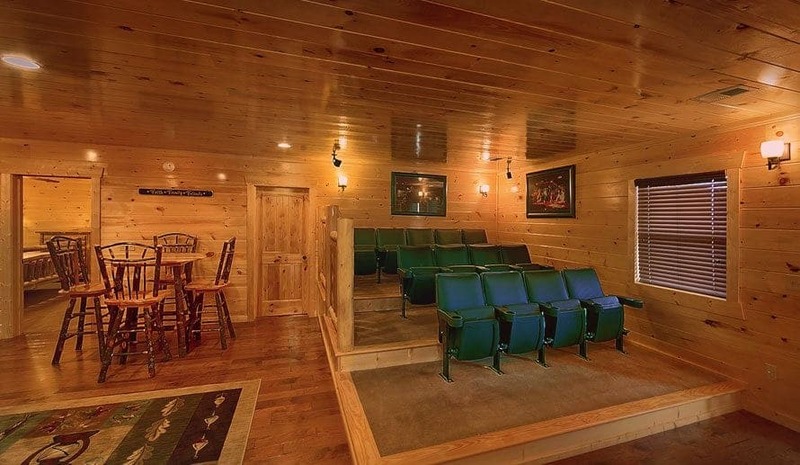 Guests of Large Cabin Rentals have access to amazing cabin amenities, such as home theater rooms with surround sound, arcade games, pool tables, and even private swimming pools situated inside of the cabin. 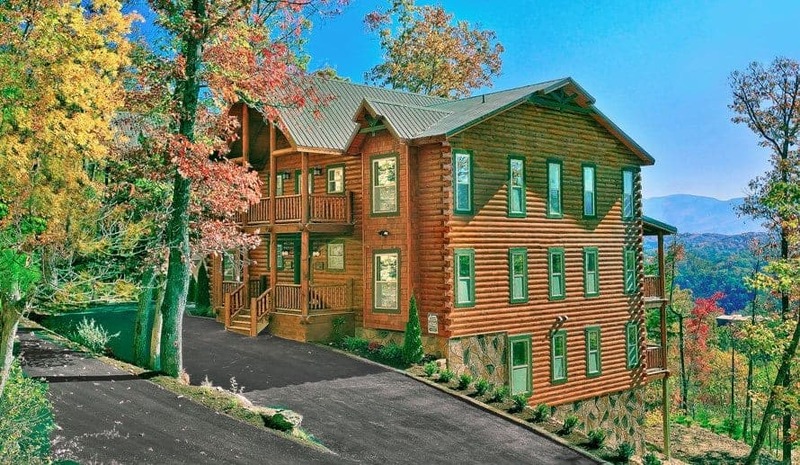 Be sure to browse our extensive list of cabins to find the perfect amenities for your Pigeon Forge vacation. 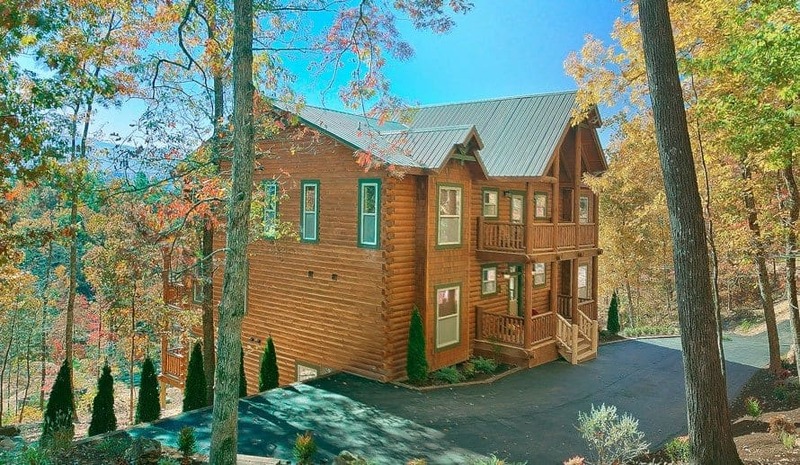 With so many incredible amenities, our cabin rentals in Pigeon Forge TN are a vacation destination on their own! 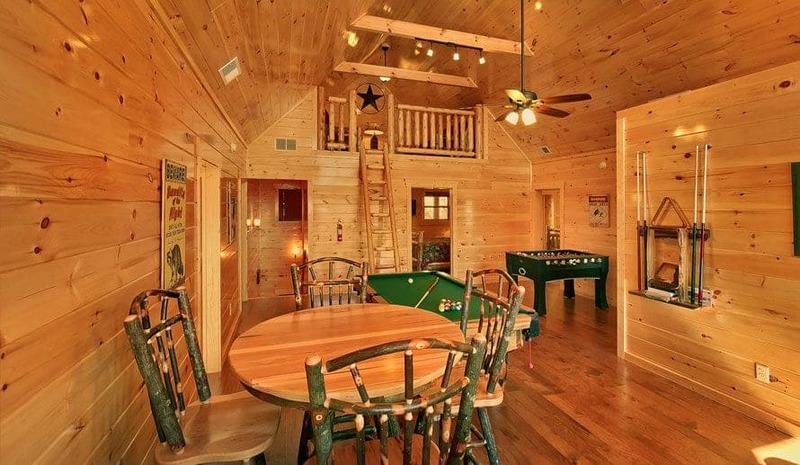 Everyone in your group will find something exciting to enjoy in our large cabins ranging from 4 bedrooms to 18 bedrooms. 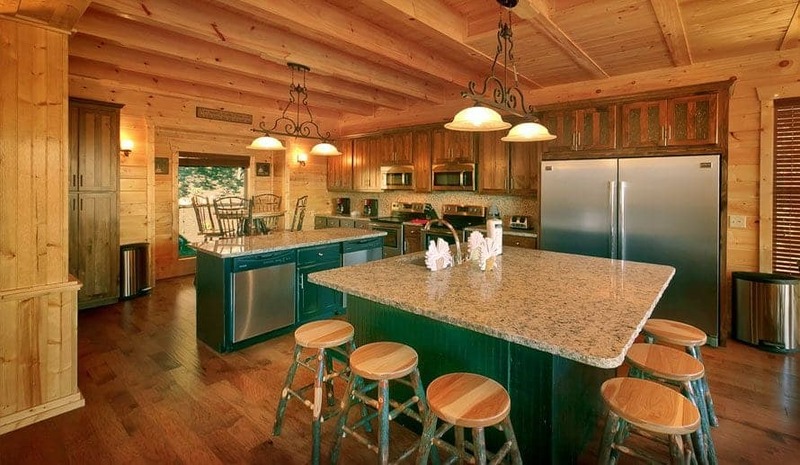 Book one of our large cabin rentals in Pigeon Forge TN today to start enjoying all of these unique benefits!